I really feel for President Trump. With an adversarial media on one side and congressional Democrat and Rino parasites on the other, it’s a wonder he gets any sleep at all. Veering off the bad news budget highway for a spell, how about some good news? 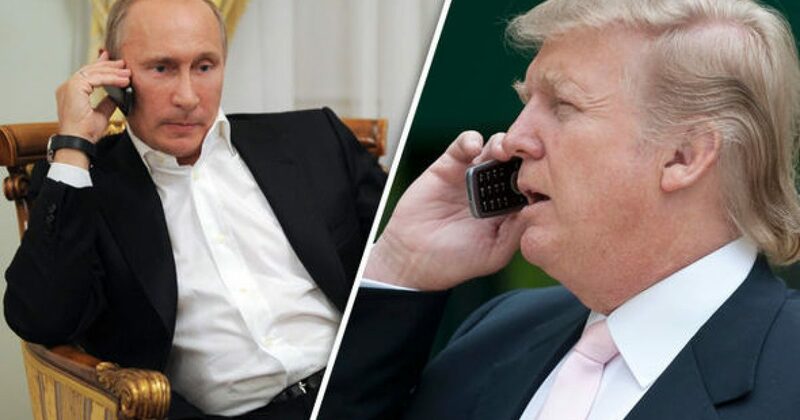 President Trump and Vladimir Putin are involved in serious and friendly discussions regarding how to finally solve the Syrian problem and the King Pudgy problem in North Korea. In my opinion, if both the US and Russia back Assad, one of the few secular leaders in the region, then the problem in Syria will be resolved in a hurry. Putin has been on the right side of this conflict. Barack Hussein was not, for obvious reasons. He was a Muslim-appeasing Muslim whose backers couldn’t tolerate a secular, westernized leader in their midst, and they aimed to put a foaming-at-the-mouth Islamic fundamentalist in Assad’s place. My opinion. Anyway, the good news is Trump and Putin are talking amicably about working together to resolve serious world problems. There is much work to do to repair the massive damage caused by Barack Hussein, Hitlery Clinton, and John Scary. Only good will come from a friendly relationship of mutual respect between Putin and Trump, a la Reagan/Gorbachev. President Trump and Russian President Vladimir Putin agreed in a phone call Tuesday to work together to end the civil war in Syria, according to the White House, with both men saying the suffering in that country has gone on for too long. The relationship between the two leaders has come under close scrutiny amid Democrats’ accusations that Mr. Trump conspired with Moscow to impact the U.S. presidential race. Mr. Trump and Mr. Putin also discussed tensions on the Korean Peninsula and the threat of the Islamic State in the Middle East, said the White House. The White House described the conversation about Syria as “a very good one” that included discussion of establishing safe zones or de-escalation zones to help achieve lasting peace. The civil war in Syria, now in its sixth year, has become a flash point in U.S.-Russia relations, with Moscow supporting the Bashar Assad regime and Washington backing anti-Assad rebels. U.S. involvement escalated last month with missile strikes on an Assad regime airfield in retaliation for the government’s deadly chemical weapon attack on Syrian civilians. The call on Syria came a day before a new round of cease-fire talks that the U.S. will attend in Astana, Kazakhstan. The Kremlin gave a slightly different readout of the phone call, stressing how Mr. Putin pressed Mr. Trump to de-escalate tensions with North Korea. On Syria, the Kremlin said the two countries would work toward a common goal at the peace talks in Astana. “The goal is to create the background that would help launch a real peace process in Syria. This means that Russia’s foreign minister and the U.S. secretary of state would inform their leaders about progress in this regard,” said the Kremlin.